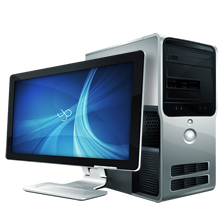 Computer Solutions is based in Wampsville NY, offering a wide range of computer sales and repair services to the surrounding areas. Our staff are highly-skilled professionals who deliver industry leading service techniques to your home or business. In fact, we are so confident of our staff's abilities that we offer a No Fix-No Fee Guarantee. So whether you need an estimate, a computer repaired, or if you're finally ready to get that new computer of your dreams, call now! You have nothing to lose! All our support staff are based locally. You can request support anytime and our friendly, knowledgable staff are on hand to help. Our easy to use Control Panel makes managing your account a breeze. You can set up email accounts, upload files, etc. Remote Assistance and Repair Why wait for a technician to arrive and solve your computer problems. Use our easy as 1, 2, 3 process and have our technician remotely repair your PC while you watch. No call out charges. At Computer Solutions we are perfectly positioned to meet the genuine needs of your business. Whether you have a single computer or an entire network of systems to maintain, we will keep your system running smoothly and efficiently.